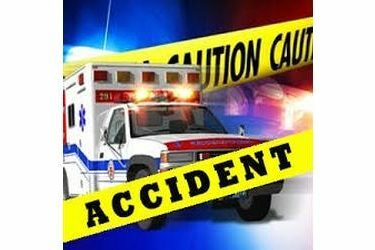 The Oklahoma Highway Patrol reported a personal injury collision occurred about 10:26 a.m. Friday on State Highway 11, roughly 358 feet east of W Street, which is about 4 miles west of Kildare, OK in Kay County. The patrol said the accident involved a 2001 Dodge Caravan driven by Roger Brooks (SIC), 80, of Newkirk, OK. Brooks was not injured. A pedestrian, David Dowell, 24, of Ponca City, OK was transported by AirEvac to OU Medical Center in Oklahoma City, OK, where he was admitted in critical condition with whole body injuries. The Highway Patrol’s report stated that Brooks’ vehicle was westbound on SH 11. Dowell is a construction worker who was flagging and directing traffic in the construction zone. Brooks’ vehicle struck the Dowell in the construction zone. Seatbelts were equipped and in use in Brooks’ vehicle. The conditon of the driver and cause of the collision are still under investigation. Investigated by Trooper Adam Beck #700 of the Kay/ Noble County Detachment of Troop K. Assisted by Trooper Deming #662, Trooper Snyder #271, Kay County Sheriff’s Office, Kaw Nation Tribal Police, Newkirk Fire Department, Kildare Fire Department and AirEvac.